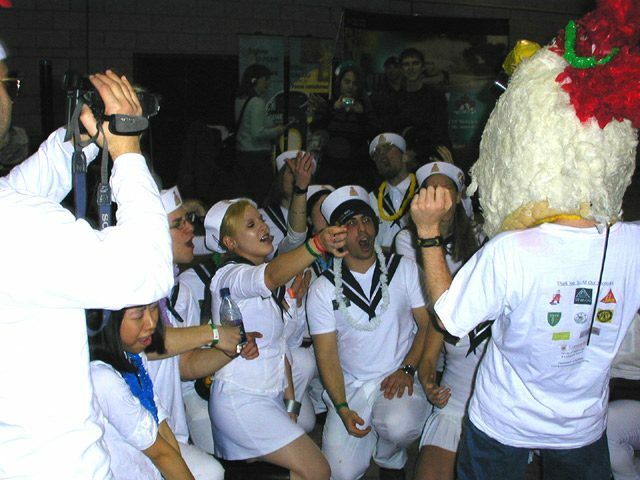 Every year, engineering students throughout North America hold competitions to test their skills. Because it’s the last thing you’d expect on a sled. There’s the oompa loompa team wearing overalls and matching green braids. There’s the Big Fat Greek Tobaggan crew – hanging out in togas beneath a cardboard Parthenon. And there are the Flaming Fowls, with caps featuring chicken legs made of yellow felt. top. Andrew Kwiatkowski is team captain. 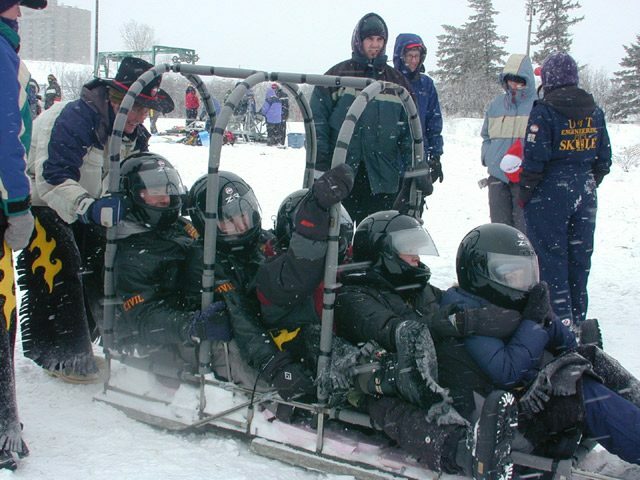 sled is required to have a concrete bottom, a working brake, and room for five passengers. But it’s really not about the prizes. Josh White and Emil Lauren are with Team Oompa Loompa. And their focus is on having fun. rubbing them with thick layers of wax. adjustments – covering sharp edges with styrofoam. mourning the loss of their longtime toboggan ritual. It’s a disappointing finish for the chicken team as they push their sled to the side of the track. 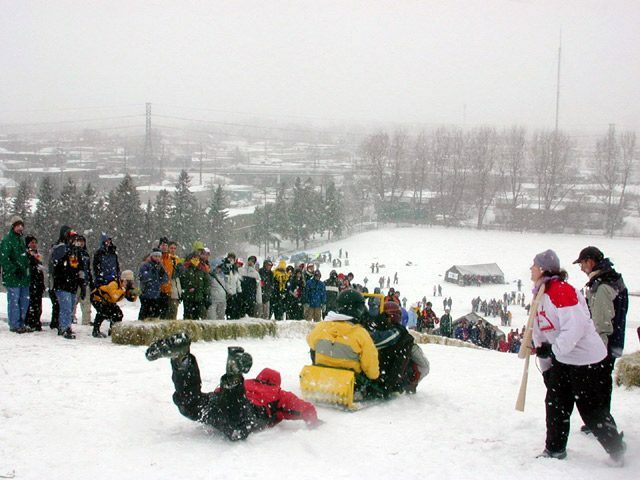 Next up is the University of Calgary’s Chuckboggan. the Return of the Sledi grabs second place. The Flaming Fowls do make it down the hill eventually – pushed by a crowd of other competitors. important as whether you win or lose. For the Great Lakes Radio Consortium, I’m Karen Kelly. Big Changes to Hunting, Fishing Licenses? Is Fire Safety Putting Us at Risk?